The 500-Hour Certified Programme consists of 300-hours additional advanced training in a modular format that allows for deep study and personal immersion. The aim is to elevate students' teaching skills and personal practice to a new level thorugh a curriculum that balances experiential 'on the mat' learning with lectures, practicums, personal study, group process and personal mentoring. Admission to the 500-Hour programme is open to students who have completed an approved 200-Hour Yoga Teacher Training Programme according to the standards of Yoga Alliance. The 500-Hour Programme is designed to help students build on their learning from their 200-Hour programme and their practice and teaching skills to date. The emphasis will be on developing a stronger technical practice and a more in-depth awareness of physical and subtle body alignment. Students will learn to integrate the spiritual and philisophical aspects of yoga into their practice and teaching. There will be equal emphasis on asana, pranayama and meditation practices to allow a deeper understanding of working with the subtle body through the breath, the chakra system, the bandhas and the koshas. The lineage of Krishnamacharya offers a deep well of inspiration to draw from to develop different ways of sequencing, pacing, theme-in and designing classes safely, mindfully and compassionately. Subjects studied will include; advanced class sequencing; yoga therapeutics and injury management; safe adjustments and modifications; embodying spiritual leadership, conscious communication and the role of 'teacher'; incoporating spiritual themes and dimensions into the teaching style. The advanced anatomy and physiology section of the course affords a more in depth look at the systems of the physical and the subtle body. In addition therapeutic ways of working with physical limitations, injury and the subtle body including an in depth exploration of working energetically, the chakra system, the nadis, koshas, mudras and bandhas. The Philosophy section of the 300-hour training will explore The Yoga Sutras, The Hatha Yoga Pradapika, The Upanishads and the Bhagavad Gita with the aim of deepening our relationship with their seminal wisdom and incorporating their teachings into our life and work. There will be a special focus on the non-dualistic teachings of Tantra and Buddhist philosphy. Facillitated group work will help you consider how you can life our yoga 'off the mat' full alive to your practice and the opportunities of present moment awareness; thereby inspiring others to do the same. Starts September each year. Four core modules to be taken in one academic year plus two ‘advanced intensives’ which can be taken same year or following year. Modules are five days, 8am-5pm. Intensives timing varies. See course dates below. The YogaRoom has assembled a faculty of leaders in their field of yoga. All are faculty are ERYT500 level and together their experience amounts to hundreds of hours and decades living and teaching yoga. Founder of the YogaRoom, Ciara is Teacher Training Director and an ERYT500 accredited yoga teacher. A yoga teacher for over fifteen years and a practising mindfulness-based psychotherapist, Ciara has trained over 200 yoga teachers. She particularly enjoys sharing her knowledge of advanced asana, mindfulness meditation, pranayama subtle body anatomy and somatic developmental movement perspectives. Eithne is certified at the Advanced 500-hour level (ERYT500) and has been a senior tutor YogaRoom 200-hour and 500-hour teacher training programmes for four years. She teaches regular classes in the Dublin area and also teaches yoga holidays in Ireland and abroad. Eithne holds an ITEC diploma in Diet & Nutrition and is practicing kinesiologist and Quantam Touch practitioner since August 2007, having trained in Ireland and abroad. A teacher trainer for over thirty years, Michael has studied the ancient yogic texts in depth since the 1970s. His satsangs, meditation, pranayama and philosophy teachings offer a wellspring of wisdom and experiential perspective on the ancient teachings. A registered nurse and yoga therapist, Connie has over two thousand hours of yoga training. Her work offers compassionate, therapeutic insight into working with injuries and guiding emotional and physical trauma back into wholeness and alignment. Sanskrit scholar and spiritual yogi, Rutger has many years experience teaching Sanskrit in an academic environment and living as a yogi in India. His teachings bring to life this ancient, spiritual language. Fees: €3,240. Can be paid as Four Core Modules; €2,400, Two Intensives: €420 each. Each payable one month prior to training dates commencing. Early Bird Rate €2,900; Payable two months prior to commencing: €2,900. Includes Four Core Modules plus two Intensives. YogaRoom 200-Hour Graduates avail of 10% discount off fees. For Four Core Modules: €2,400 payable one-month before Module One. Or installments of €1,250 payable one month prior to first module and one month prior to fourth module. Intensives €420 each payable one month prior to each start date. Deposit: Places are secured with a deposit of €500 deductable from fees. Registration with Yoga Alliance (currently USD$85 annually) plus course textbooks. Students may attend classes at The YogaRoom at a discounted rate. We are always happy to discuss any questions you may have. Please contact our teacher training programme director Ciara Cronin on +353 86 8832633 or +353 1 2196666 or by email [email protected]. » Download 200-Hour application form. » Download 500-Hour application form. 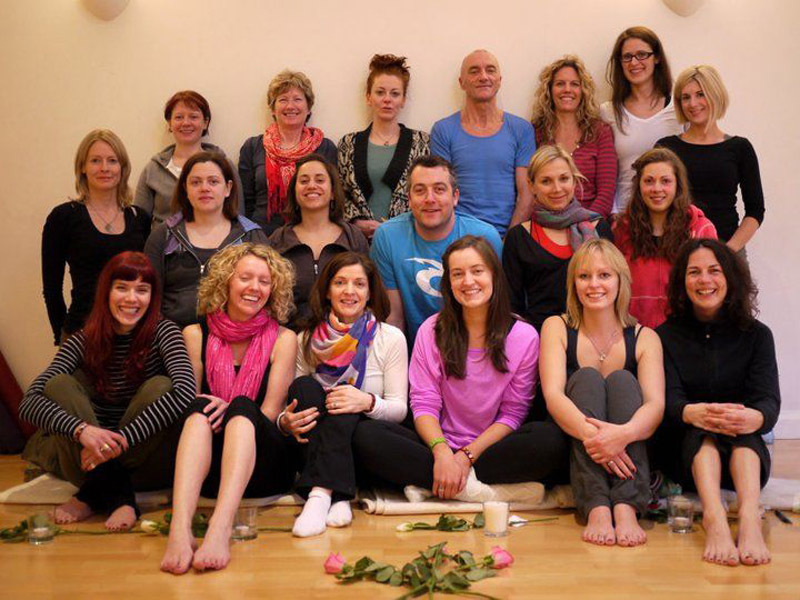 Ciara Cronin, Teacher Training Programme Director, The YogaRoom, 262 Merrion Road, Ballsbridge, Dublin 4, Ireland.